A central concept to our product line is the Personal Efficiency Trainer (PET). The PET records GSR physiological activity absolute values (Mhos or Ohms), and with the use of the BioExplorer software (additonal cost), the data can be reviewed in real time (feedback). 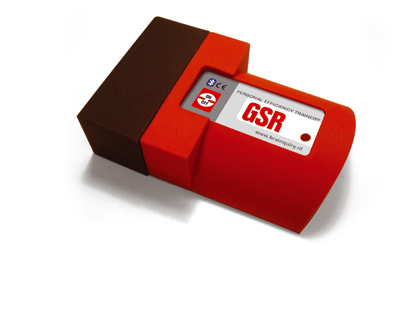 Using the PET GSR wireless you can measure aspects of stress, orienting response, and vigilance. The PET requires the BioExplorer software (additonal cost) PC software. • Power supply and energy consumption 1 X CR123A photo battery, >12 hours in active mode. 60 mA in active mode.